The portal from the waiting room the inner office is guarded by the receptionist. The official waiting period starts here. Some receptionists are quick. In the case below, I barely had one minute to sketch the woman in her pre-wait status. 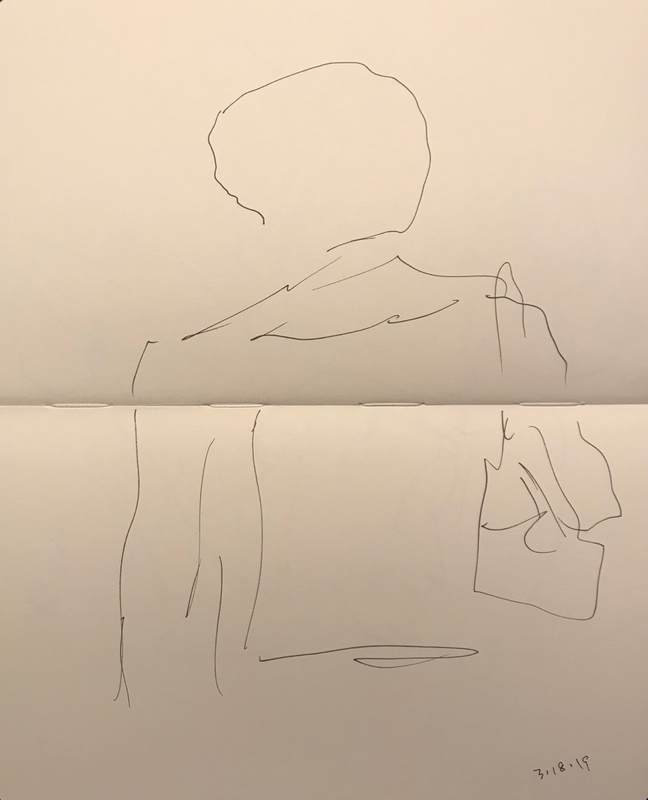 This entry was posted in Personal Stories and tagged 1 minute sketch, blind drawing, drawing, pen and ink, pen and ink sketch, portrait, quick sketch, receptionist, sketch, Waiting Room. Bookmark the permalink.